You’ve got your day planned out. Your priorities have been set in orderly progression from most important to least. Then suddenly, seemingly out of nowhere, a project gets bogged down with complications that should be easily overcome, but aren’t. Or, you’re feeling chipper about life and your mood quickly digresses into unexplainable discouragement and perhaps even depression. The scenarios might be manifestations of routine elements of evil that Jesus said would accompany everyday life. (Matt 6:34) It’s also possible that you’re experiencing the consequences of word storms against you generated by the conversations and prayers of known and unknown people. This article is about finding safe haven from stormy weather words. What you need is an expansion of your dart quenching shield to include an umbrella of protection from word storms. The Old Testament speaks of the strife and scourge of those who smite with the tongue. (Psa 31:20; Job 5:21; Jer 18:18) The New Testament follows through with the theme in the 6th Chapter of Ephesians. It speaks of the fiery darts of the wicked that can be quenched by the shield of faith, the Word of God. Satanic entities hurl fiery darts like javelin to impale our health, prosperity, progress in Kingdom projects and our relationships. There is another type of darts that are shot like arrows from unexpected bow wielding sources. Most believers are familiar with the concept that there is death and life in the power of the tongue. (Prov 18:21) There is a need to understand how the powers of death are delivered to all that is holy and profitable. The delivery system is the human tongue and lips that have bow like capacity. The arrows are poisoned words of negativity and hostility. King David spoke of this in the Psalms. He identified the gritted teeth of his enemies as spears and swords; and their bitter words as arrows. (Psa 57:4, 64:2-5) The analogy is that the human mouth is the launching pad of spiritual weapons. The fiery arrows are not restricted to direct frontal assaults that can be deflected by a shield when seen coming. More often than not, the contemptuous word darts are shot in secret. In ancient times arrows were used as a form of artillery. Barrages of hundreds of arrows were shot with an upward trajectory to rain down on enemies. An arrow from above could strike in unprotected areas such as the neck, shoulders, lower legs and areas in between those sheltered by shields and other protective armor. That is a depiction of what happens when word storms afflict a child of God. The barrages are launched in critical conversations and by the content of soulish prayers. Biblical spirituality is beautiful. Religion that has mutated into religiosity can be downright dangerous. Mutation is spawned when believers congregate around the variables of the faith rather than its absolutes. Christianity has very few absolutes and almost infinite nonessential variables. The critical conversations often take place in the context of a Christian feeling that they need to justify their reasons for hopping from one group to the next. I know of a church that like most had a revolving door. Congregates considered members frequently exited after brief stays. The church fluctuated between 100 and 150 in attendance and calculated that 35,000 people had exited over a twenty-year period. It’s hard to imagine how many negative word arrow bombardments rained down on that church’s pastor and leadership team as 35,000 people went separate ways into new churches. It’s no wonder that the pastor finally resigned. None of us like to think that relatives and work associates say uncharitable things behind our backs. Nevertheless, we all know they do. Occasional negative observations are not the problem. The problem is when our supposed weaknesses become the fodder for regular covert chewing sessions. It’s then that fiery darts complicate our activities and have potential to wound our peace of mind and physical health. Most Christians welcome offers from believers to pray for them. That is well and good when prayers reflect the Spirit inspired aspirations of the prayed for individual. The prayers can be harmful if they are soulish. The term describes prayers that focus on the personal agenda within the intercessor’s soul about how someone else ought to function in given aspects of faith and life. The prayers are soulish when they aren’t in keeping with Gods will or that of the individual about their own life. Such prayers are apt to confuse direction about choices that God delegates to personal preference. Whom to marry; choice of vocation; and doctrinal views are common agenda items injected by force. There is another form of prayer that purposely sends billions of poisoned arrows to wreak mayhem in Christian lives every day. It’s the Salat, the 5 times daily prayers of the world’s 2 billion Muslims. There is reference to hypocrites in each Islamic prayer session. Muslims recognize that the inference is based on verses from the 63rd Surah (chapter) of the Koran and on the sayings of Mohammed found in the Hadith. The hypocrites are Christians. The verses describe Christians as lying hypocrites that have taken oaths in defiance of Islam. The mention of oaths is in reference to confessions of Christ at conversion. The Koran prescribes that Christians are to be regarded as enemies whose rejection of Mohammed’s Allah cannot be forgiven. Their destruction is called for by the hands of Allah. It would be difficult to overstate the global harm that Salat prayers possibly inflict billions of times daily. The word storms they create have potential to bewilder the pursuits of Christians. Considering that America is considered Christian, it is no wonder that our government is plagued with hypocritical and confusing policies. Believers aren’t to be given to fearful superstitions about anything. Yet, when life becomes unusually complicated with varying sorts of hardships it’s good to activate the shields that the Bible implies are available to us. Here are some suggestions about what to do when emotional state, relationships, business matters, and physical health suddenly go awry. 2) In ancient times when an advancing army encountered rain down of enemy arrows, they would cluster with their shields held over their heads. You can do this in 2 ways. See yourself momentarily crouched with your shield of faith held over your head. Quote Scriptures that speak of God’s protection from assaults. It is also beneficial to by faith envision yourself as one with the worldwide Body of Christ. Picture that all have their shields held over their heads. Confess that you are protected by the umbrella of protection of their confessions of the Word and by their prayers in unknown tongues. When believers pray in tongues, they are praying for matters beyond that obvious to their minds and 5 senses. 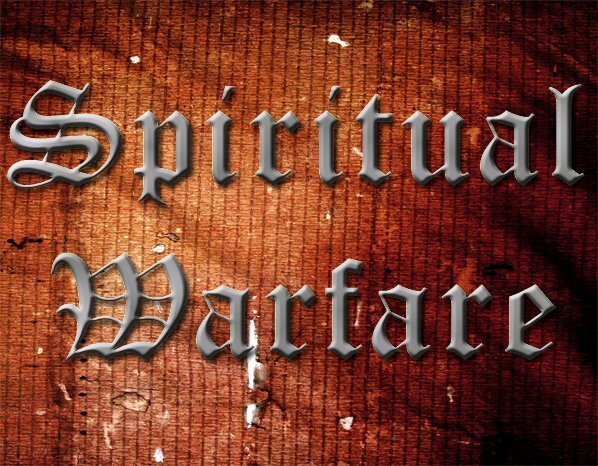 (Rom 8:26-27) Unquestionably, the Holy Spirit often inserts protective prayers from attacks. 3) When told that someone wants to add you to their prayer list, subtly give them an outline of the type of prayers you welcome. Tell them that you like for people to pray for you that can genuinely thank God for all that you represent. Ask them to pray in agreement with whatever God has revealed to you as his will for you. Say that you want to avoid the pressures created by people praying for their perception of the Lord’s agenda for particular aspects of your life. Some readers are aware that I ghostwrite articles and books for the ministries of X-Muslim to Muslims. One day my computer was giving me fits as I was writing an article. It occurred to me that the perplexity was caused by barrages of arrows shot by the ill intentions of radicals Muslims for me. I placed myself in God’s presence away from the scourge of their tongues. I saw myself under the protective umbrella of believers who love and pray for my welfare; and that of saints throughout the world who were unknowingly interceding for me in the Spirit. The computer glitch instantly passed and I joyfully pounded out the article. Amen!